Back in 2011, I prepared the late Ron Zelonka's Ukraine collection for sale by Corinphila, Zurich. It was so vast that, inevitably, much material was sold in large lots which were unillustrated both in the catalogue of the sale and on line. 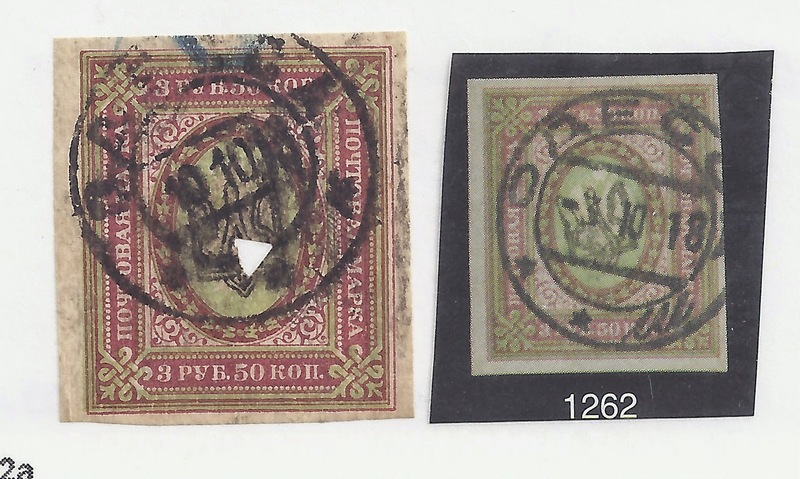 The sale did not tempt any Ukraine collectors from USA to Zurich, but it did tempt Raritan Stamps of Dayton, New Jersey who bought significant sections of the collection. In its regular auctions, Raritan now offers single items or small groups of items from the material it bought - and it illustrates them, in colour, in its catalogues. This is important. The Zelonka collection included rare items from the Dr Seichter collection and the John Bulat collection which have never been illustrated or only inadequately illustrated in black and white. This is true for example of many local Trident overprints. The current catalog for Auction # 64 also allows me for the first time to compare a copy of a rare stamp in my stock with another example of the same stamp.